On May 23 of this year, Harvard University will hold a graduation ceremony exclusive to the black student population. Over 700 students and guests have registered for Harvard Black Commencement 2017, slated to take place two days before the school’s traditional graduation rites. The event, according to Yahoo.com, is meant to celebrate “fellowship” instead of “segregation”, and has been called “an opportunity to give voice to the voiceless at Harvard,” by Michael Huggins, President of the Harvard Black Graduate Student Alliance. To make the event a reality, students spent over a year planning for it. During that time, over $25,000 was raised for the ceremony and reception after. The students will each receive a stole of traditional African kente cloth — representations of their African heritage — meant to be worn with their caps and gowns during the ceremony. The event itself will feature four student speakers to talk about the experiences leading up to their graduation, particularly the difficulties they faced along the way. Musical performances will also be a key part of the ceremony. Far from being the first school to hold such a graduation event for students of a specific ethnicity, Harvard University has joined the many others that have done or continue to do this practice. 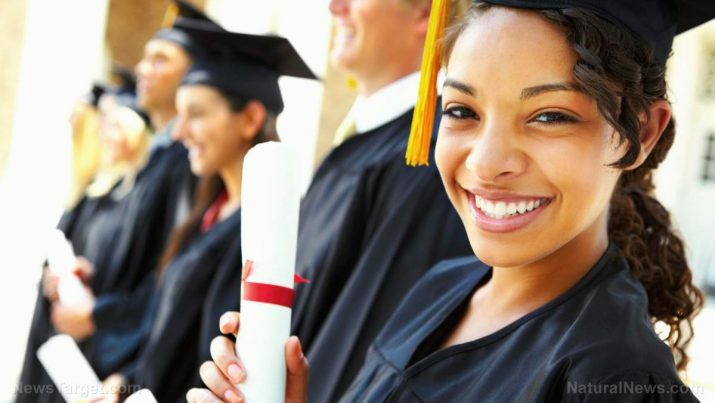 Stanford University, Columbia University, Marshall University, and the University of Washington have all offered black-exclusive graduation ceremonies for years. “It speaks volumes that there has never been a black graduation ceremony until now,” said Courtney Woods, a soon-to-be master’s degree holder in education policy and management from the Graduate School of Education. African-American culture magazine TheRoot.com stated that Harvard has one of the highest graduation rates for black students, with 96 percent of black undergraduate students finishing within six years. Despite this, some black students have said that they felt isolated and even alienated on campus. Woods cited “historic wealth disparities and cultural differences” as the reasons behind the feelings of detachment from the rest of the student body. The May 23 event and past ceremonies have all been the subject of criticism from other students and leaders. What they’ve called “divisive” has been seen as “necessary affirmations” by black students. “Too often at Harvard, there is not cross-discipline contact between black students. So it can feel like you are the only person of color. At this graduation, we can show each other and the administration that we are here, we are strong and we are not going away,” Huggins said. In addition to the black-only graduation, the students will also be participating in the school’s main commencement ceremony. Visit CampusInsanity.com for other stories on the country’s educational institutions.